I tried the tiramisu, and the blood orange. Each were tiny bites of perfectly balanced flavor and sweetness. 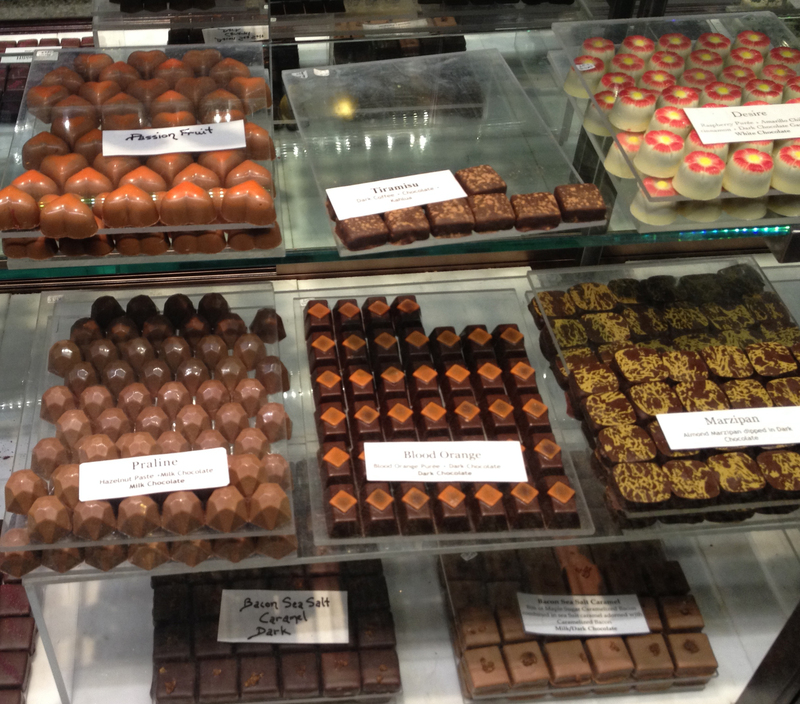 The flavors which they make range from Cocoa Nib Caramel to King Bourbon. One of the fascinating combinations which they create is as follows: French Marigold which is White Chocolate Ganache infused with Fleur de Marigold Petals (really!) and Meyer Lemon covered in dark chocolate…whoa! Here’s another: Pain D’epices has in it Ginger, Cloves, Cinnamon, Black Pepper, Anise and Honey in Dark Chocolate Ganache with Dried Orange. It’s no wonder that these candies are fairly pricey, but one piece will satisfy you due to its full flavor and richness. The box in which these come in is reminiscent of something from Paris. I would keep the box after all of the candy was gone. This would make a fantastic gift for the pickiest of candy connoisseurs. I highly recommend that you visit their site to purchase these as a gift for your valentine. It will be a box of chocolate that will never be forgotten, and one that comes from Montana as well. 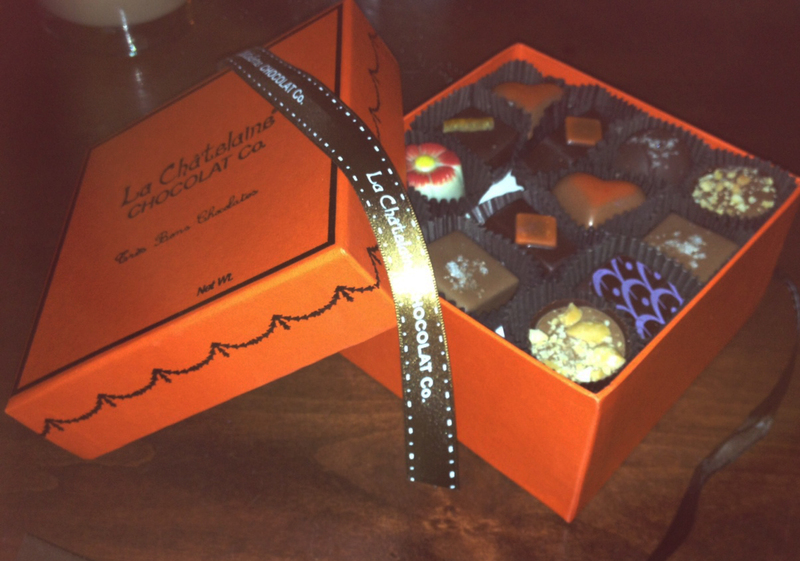 Posted in All Things Chocolate, candy crafts, Childhood memories, internet treats, sweet makers, travels and tagged Bozeman, La Châtelaine, La Châtelaine Chocolat Co., Montana, Paris. Bookmark the permalink. 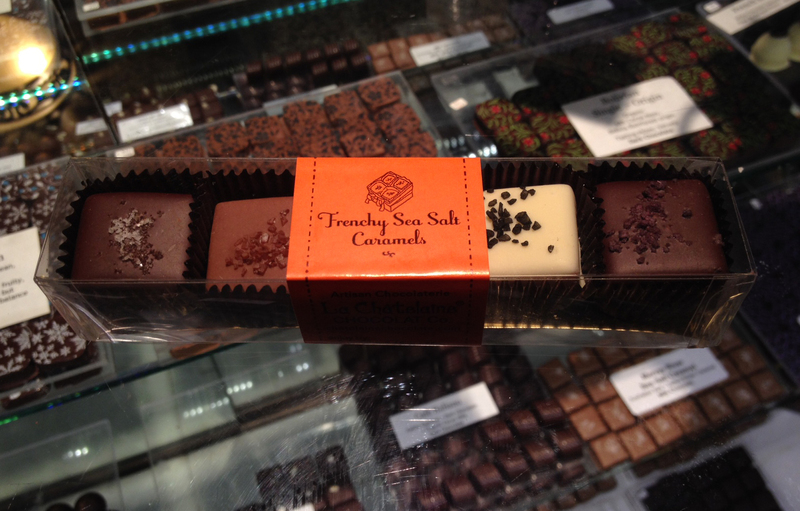 love little boxes of fun chocolates. Good job on the one-a-day rationing. Not sure I could have done so well 🙂 Thanks for sharing your find. This is getting my hopes up for a box of chocolate for Valentines Day– luscious post!